Building Your Website Has Never Been Easier! Our powerful website builder gives you an easy drag & drop interface and great social media widgets that make it fun to set up your initial site. Advanced features like premium site designs, mobile publishing and advanced eCommerce keep you engaged and help drive your website with state of the art features. We have combined the website builder that over 6 million people around the world trust with our managed and monitored state of the art business class hosting to give you the perfect Do It Your Self platform. Custom Designs: Customizable, polished, professional designs give you countless options for site layout and navigation. Personalize your space by changing the banner, background, text color and font. For more advanced users, DIY provides CSS editing. Flexible Layouts: With a multitude of preset templates and flexible layouts, DIY lets you build virtually any page you want! Password Protection: Keep unauthorized visitors from seeing your pages with password protection. Protect your whole website or specific pages. Simple Site Organization: Flexible navigation and submenus let you build and organize as many pages as you like. Declutter your site with integrated submenus that are customized to fit your site’s design. SEO Optimized Pages: DIY pages are designed with search engine optimization (SEO) in mind. When you publish your website, Yola makes it easy for search engines to pick up your website so your customers can find you online. Drag and Drop Widgets: Powerful widgets let you to add contact forms, appointment scheduling, maps, blogs, videos, and photo galleries to meet your business needs. Mobile Publishing: Mobile publishing lets you take your website and instantly create a version optimized for viewing on iPhone, Android, or BlackBerry devices. With a mobile website, your customers can connect with your business anytime, anywhere. Custom Facebook Pages: Your customers are on Facebook, and your business can be too. With Yola, you can easily publish your site to your Facebook business page. Grow and engage your fan base through social media. Web Publishing: Get found on the web. 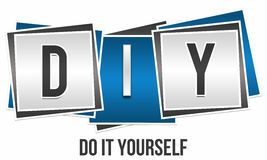 All DIY sites are HTML-based, not Flash, which allows search engines like Google to index your website. Sitemaps are also automatically generated every time you publish, making it easier for customers to find your site online. Custom Domain Name: Domain names are how people visit your site. Search engines rank custom domains like www.YourSite.com higher than subdomains like YourSite.freewebsite.com. Plus, a custom domain will be easier for your customers to remember. Ecommerce Available: That’s right you can build an entire online store, with our drag and drop technology. With full merchantservices to accept credit cards, etc. Business Class Hosting: Means your site can handle tons of traffic with no interruption in service. Additionally, traditional server backups are in place to ensure that dedicated resources are ready if needed. In-House Support: We don’t outsource – your questions will be answered by a friendly, qualified member of the our team. Our support staff is well-acquainted with our software and can answer your questions accurately and competently. Custom Designs: Customizable, polished, professional designs give you countless options for site layout and navigation. Personalize your space by changing the banner, background, text color and font. For more advanced users, Yola provides CSS editing. 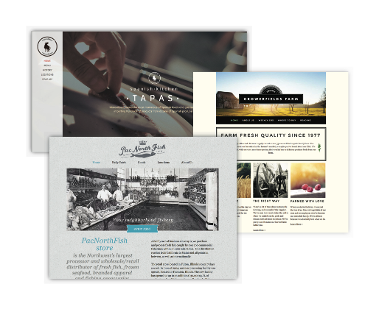 Flexible Layouts: With a multitude of preset templates and flexible layouts, Yola lets you build virtually any page you want! Web Publishing: Get found on the web. All Yola sites are HTML-based, not Flash, which allows search engines like Google to index your website. Sitemaps are also automatically generated every time you publish, making it easier for customers to find your site online. Business Class Hosting: Means your site can handle tons of traffic with no interruption in service. Additionally, traditional server backups are in place to ensure that dedicated resources are ready if needed. Limited E-Commerce Module up to 100 items. For $25.00 more per month, that's $85.00 Per Month! 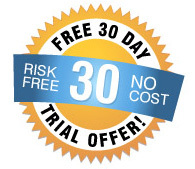 Our 30 Trial will allow you to try our DIY Website Builder for 30 days at no charge. However, it wont allow you to publish your website to actual domain until you have upgraded your account. Just remember, if you create a great website make sure to upgrade instead of signing up for a new account. Your work will be saved if you Upgrade, however if you sign up for a new account it will be lost. Ready to Upgrade to a Paid Account? If you have been test driving our DIY Sitebuilder and are ready to Go Live, just use the link below to make your site live by upgrading to a paid account.